Solve It! Write the equation of Line 1 in slope-intercept form. Solve It! Write the equation of Line 2 in slope-intercept form. Solve It! How can you transform the equation of Line 1 into the equation of Line 2? Explain. Solve It! 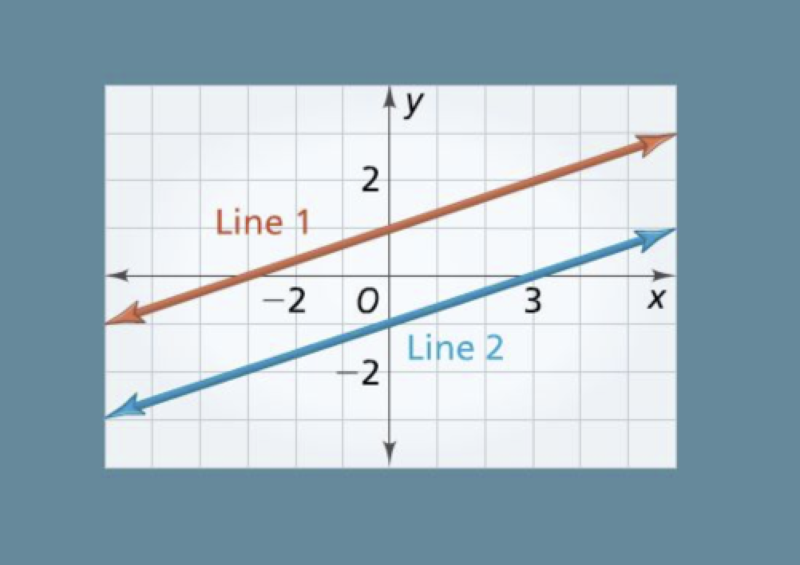 How can you slide Line 1 in the coordinate plane so that it becomes Line 2? Explain. Vocabulary: In your own words, define translation. 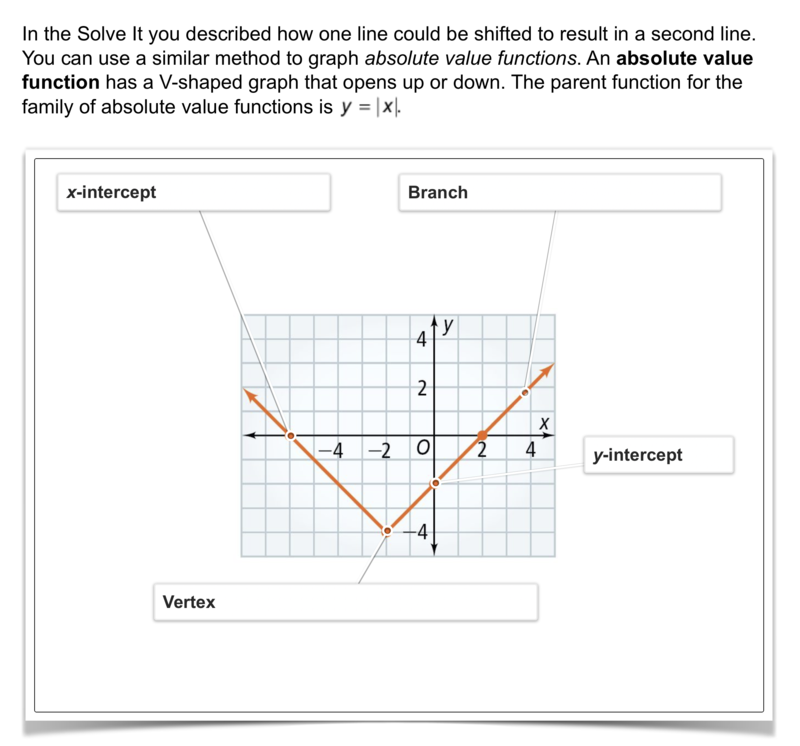 Graphing: Graph the absolute value function. Zoom and pan your graph to establish an appropriate viewing window. Problem 1 Got It? 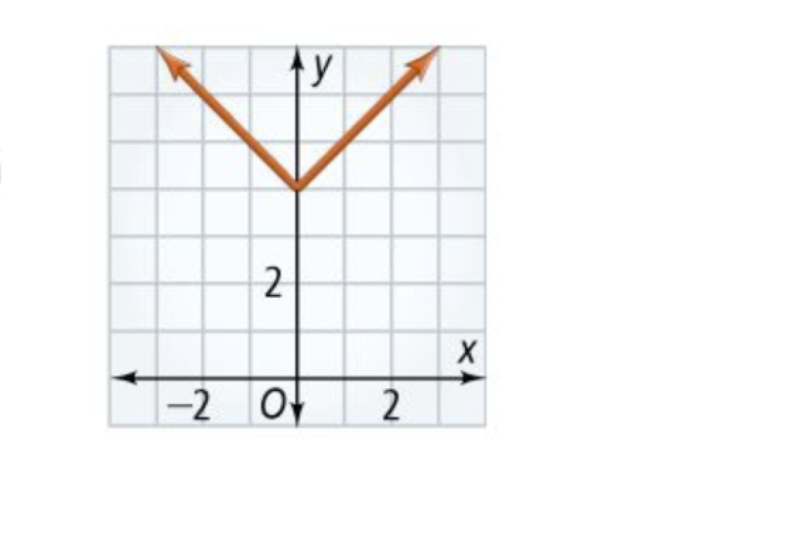 How is the graph shown related to the graph of y = |x|? The graph shown is the graph of y = |x| shifted right 4 units. The graph shown is the graph of y = |x| shifted left 4 units. The graph shown is the graph of y = |x| shifted up 4 units. The graph shown is the graph of y = |x| shifted down 4 units. Problem 1 Got It? Reasoning: Match the domains and ranges on the left with the appropriate function(s) on the right from Problem 1. 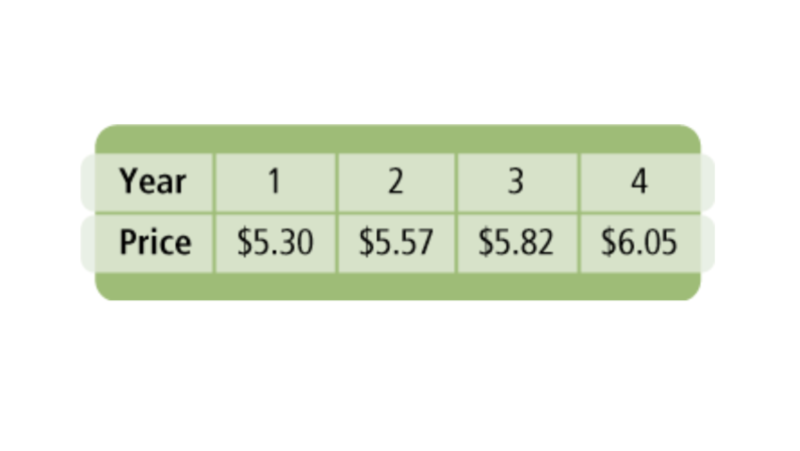 Not all domains and ranges will be used. Be sure to include relevant graph detail: label axes, indicate units on both axes, and use arrows to represent end behavior, as appropriate. Problem 4 Got It? Make a graph that models the relationship between the number of students x that go to the game by bus and the number of busses y that are needed if each bus holds a maximum of 50 students. How is the graph of y = |x| - 8 different from the graph of y = |x|? After responding, you may check your answer using Desmos below. If you must edit your response, consider also editing your note card. What is the equation for the translation of y = |x| 9 units up? You may check your response using Desmos. What is the graph of the function? Compare and Contrast: How are the graphs of y = |x| - 4 and y = |x - 4| the same? How are they different? Error Analysis: A student is graphing the equation y = |x - 10| and translates the graph of y = |x| 10 units left. Describe her error. 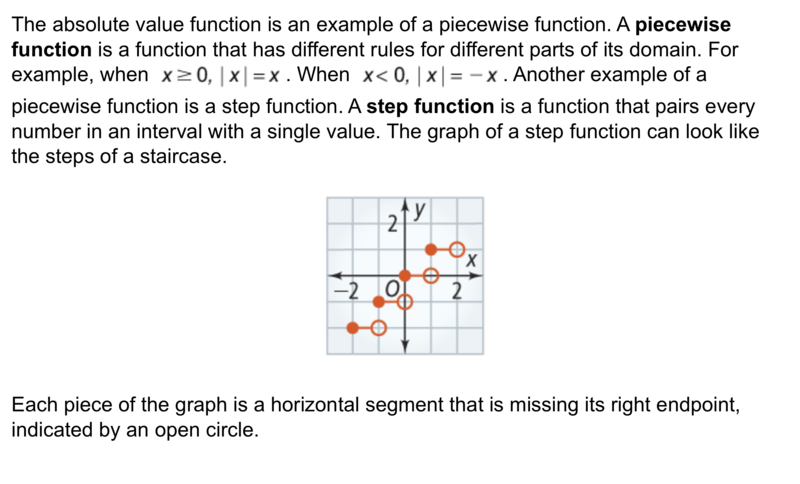 Reveiw Lesson 5-7: Write an equation of a trend line or use a graphing calculator to find an equation of the line of best fit. 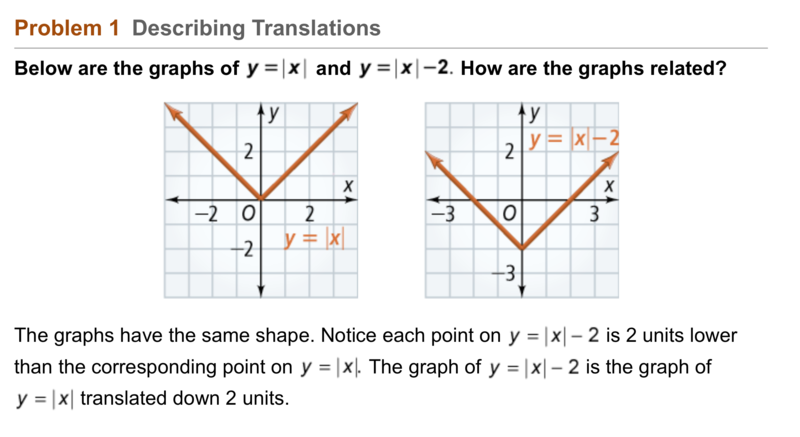 Review Lesson 5-3: Graph the equations on the same coordinate plane using the colors indicated for each. 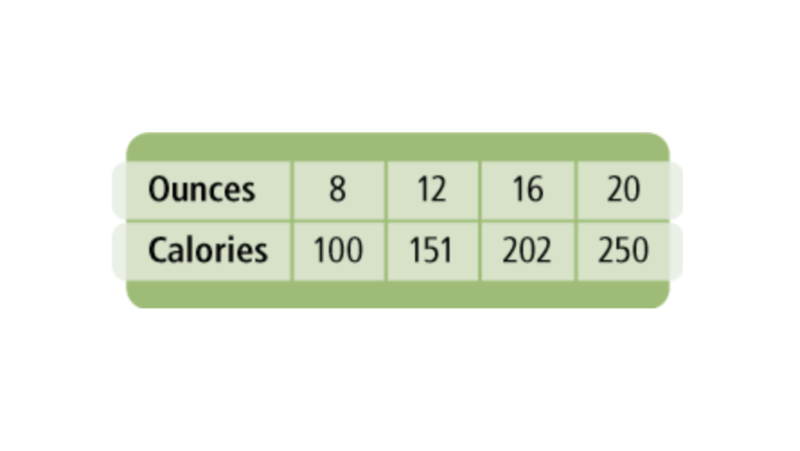 Vocabulary Review: Compare the absolute values using the symbols on the left. Vocabulary Review: The absolute value of a number is a measure of the distance from 0 to that number on the number line. Vocabulary Review: The absolute value of a number is always the opposite of that number. Use Your Vocabulary: Classify the pair of figures.